SOBEC® offers a solution for ever changing crop production challenges with three unique products: SOBEC®,VESTA® and BHF-10. 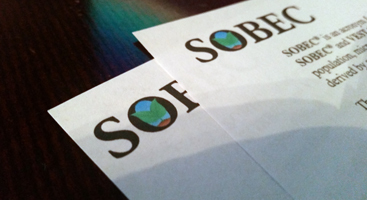 Find printable labels, MSDS and WSDA forms for all SOBEC® products here. The SOBEC® distribution network covers three continents and continues to grow around the globe. Click here to find the distributor closest to you. SOBEC® is an acronym for (Soluble Organic Biological Extracts and Colloids). SOBEC® and VESTA® are multi-dimensional products that contain a diverse microbial population, microbial metabolites, soluble (short chain) humus and humic material derived by a natural (non-chemical) proprietary method. The benefits of using SOBEC® and VESTA® are many, specifically, better crop uniformity, better color, plant vigor and better quality and production. SOBEC® and VESTA® demonstrate multiple modes of action. Some are: increased nutrient cycling efficiencies, better root growth, increased water and heat stress tolerance and restoring some of the natural microbial processes in soil that help crops reach their genetic potential in conventional as well as organically grown crop systems.